Hickory’s Smokehouse don’t bare the largest choice of burgers, so on this visit I’m left with only one burger I haven’t tried. Of course I chose that burger to dine on. With a very welcoming and busy atmosphere, my girlfriend and I sipped on our delicious sugary drinks awaiting our food. 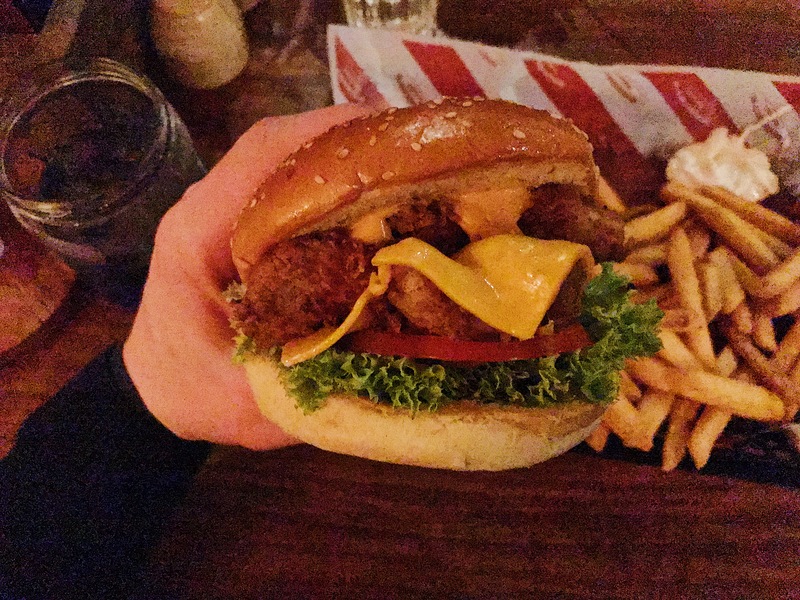 Chicken burgers aren’t my normal choice, but a burgers is a burger and I was excited nevertheless. The size, mass and filling of the burger were gargantuan something Hickory’s feel a necessity in each meal, but quality over quantity, right? The Southern Fried Chicken Burger was very simple, so simple it was silently requesting other absorbing and alluring ingredients but forgetting what could of been, I’ll assess the positives. The two chicken breasts were flavoursome, juicy and of ample size. The cheese was false advertised and not melted but still blended well with the burger as a whole. Everything else fell by the way side being close to bang average but I don’t feel it’s necessary to delve into the intrecates as they’re minor. Hickory’s will continue to produce reasonably priced above average, imitation American style burgers, served in a welcoming atmosphere. Hickory’s can be defined as try- hards, I think that’s quite appropriate, but I like try-hards. Burger rating: 6 out of 10.